Sisters, friends and sartorialists. One’s the dreamer, one’s the doer, but we are learning to embrace being a little of both. Here we document the things we love, the fashions we lust for, and show how we agree to disagree on just about everything. We hope you all had a wonderful weekend and Father's Day! The best thing about reliving your life through photographs is that it makes you realize just how fortunate you are. Family, friends, experiences...we are nothing short of lucky. 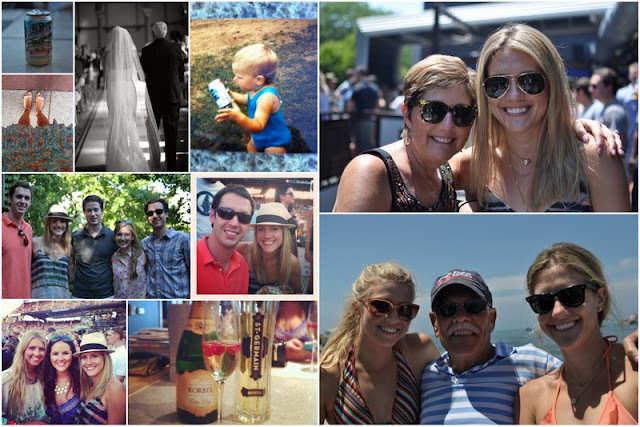 This past week was no exception as we got to enjoy some fabulous Chicago fests, concerts, some sister bonding time and boating in Michigan with family for Father's Day. We can't wait to see what else is in store for us this summer! Clockwise-ish from Top Left: It's not summer without Shandy; Feeling wedding nostalgic on Father's Day; Em sifted through some old photographs this week when she was putting together our dad's Father's Day gift...Apparently I acquired a taste for PBR at a young age; Mom and I at Benchmark during Old Town Art Fair; Dad and his girls on Father's Day in New Buffalo; My new favorite drink: Champagne and St. Germain...heavenly; Em, Morgan and I at the Brad Paisley concert; With some friends enjoying OTAF festivities; It was a sundress kinda day; Steve and I at Brad Paisley. 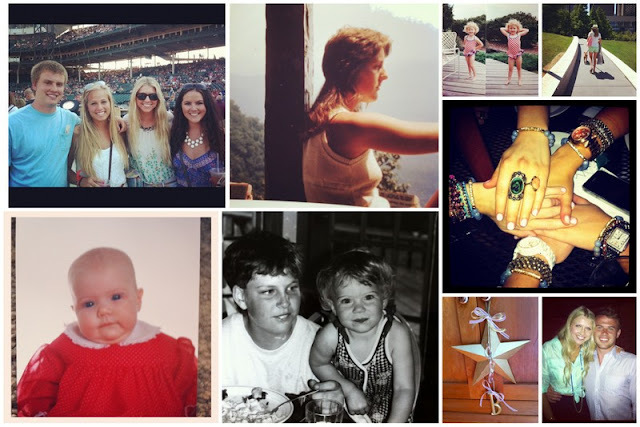 Clockwise from Top Left: Brad Paisley concert with Sam, Haley and Morgan; Our mom was all about the "business in the front, party in the back" mullet do; Caitlin - once a ham, always a ham; Enjoying the Lakeshore East dog park with Cait on a gorgeous summer Friday; Best friend gem bracelets from none other than the gem herself, Morgan; Celebrating Mark's birthday - it's always a grand affair; My DIY wedding gift creation - chair markers for the bride & groom; Me and my bro circa 1992; I was a chubby little big baby.